Everyone is on their own spiritual path and we all have different understandings of death, dying and life to come. Like-wise there are many different traditions, faiths and understandings around the mystery of death and beyond. All the great faith traditions, such as Christianity, Hinduism, Islam, Judaism, Buddhism and Confucianism, have a wealth of understandings and material to help us navigate the final steps of our earthly journey. Embrace and be comfortable with your own understandings and convictions, but also be open to other insights and you’ll be the richer for it. The offerings of this book are intended as helpful pointers, not answers. May you enjoy the reflections and find peace and hope on your journey. Keep a notebook or journal to hand, ready to write your thoughts and reflections as you read the book. Facing our death can generate questions, uncertainties, anxieties and fears. Some are about our loved ones and what will become of them, some are about how we will cope with the actual experience of dying and some are about what lies ahead of us when we die. But facing our death can also be a wonderful time of personal reflection and deepening peace—when we gather together the many threads of our life, give voice to the love and gratitude that we have sometimes failed to express, and more and more let go into that ‘ocean of love’ from which we were born, to which we return and from which we can never be separated. We all have to face our dying. 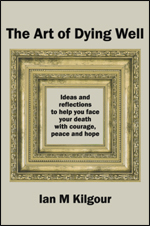 As one wit once said, “Life is something none of us gets out of alive.” This simple book is intended to help you face your own death with courage and faith, rather than with foreboding or fear. Some simple things can help ease your mind and bring peace to your heart. Some of this book is written in the first-person singular to help you personalise your reflections. Feel free to dip into its pages just where and when you want, pondering only one or two paragraphs at a time. A pyramid diagram has been included as a roadmap—building blocks, if you like—by which you can chart your progress through the various sections. I sincerely hope that these suggestions, explored and expanded with your own ideas, will be of real benefit to you. The final part of this book includes readings and reflections from a wide range of perspectives and faith traditions. 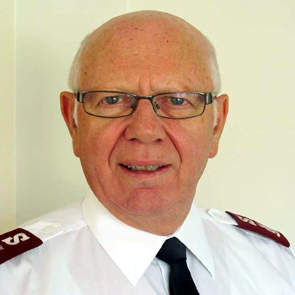 Ian Kilgour is a Salvation Army officer and Christian minister with wide experience in pastoral care and the deeply human issues we all struggle with. Although now retired, he remains actively involved in church, chaplaincy, community and social justice work. 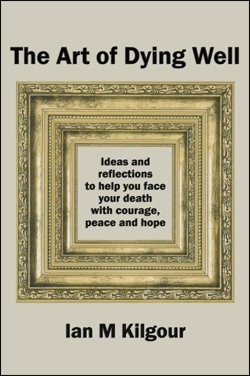 After a serious health event that caused him to face his own mortality, he gathered together the reflections that comprise this book—a work in which he was encouraged and assisted by the people of his home congregation, St. Heliers Presbyterian Church in Auckland. Ian believes that everyone has the capacity to find meaning in life, to deepen their spirituality, and to become all they can be. He has an inclusive understanding of life in which everything and everyone is interconnected and of immense value. Ian dedicates this publication to those whom he has had the privilege of laying to rest.